Does Amanda Priestly know about this ? 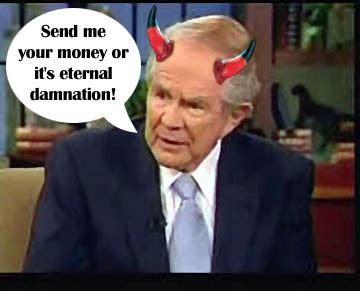 A caller on Pat Robertson’s “700 Club” program on Monday was concerned about the state of her secondhand purchases. Pastor Robertson is an expert when it comes to Demonic Fashion. So watch those sweaters, cause you could well end up like THIS!